Product prices and availability are accurate as of 2019-04-12 09:02:38 EDT and are subject to change. Any price and availability information displayed on http://www.amazon.com/ at the time of purchase will apply to the purchase of this product. 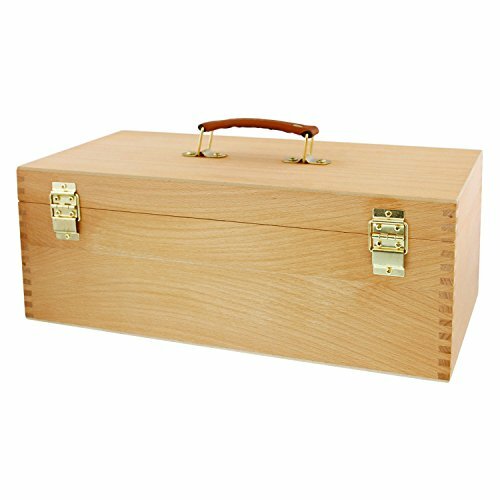 · The classic version of the traditional artist's tool box. 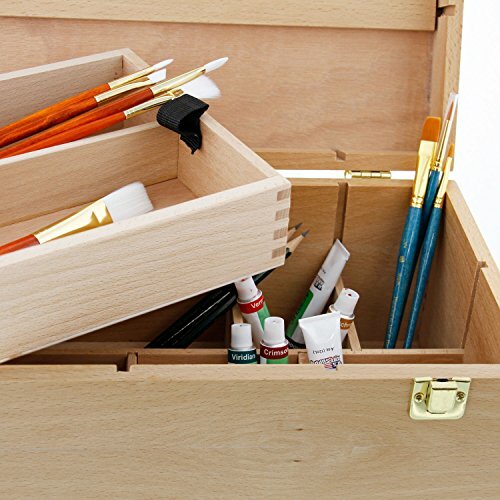 · Protect, organize and transport your paints, brushes, tools and supplies. 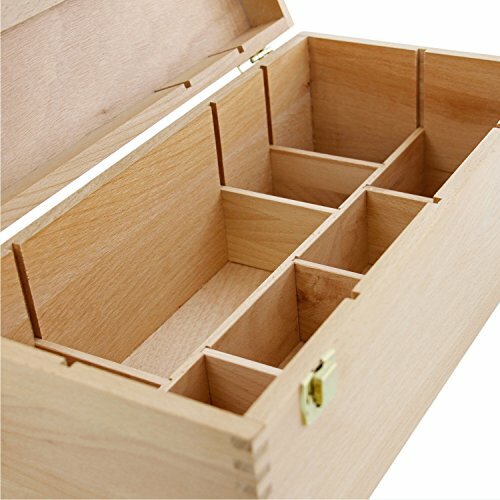 · An elegant, unfinished wood box is constructed of Beechwood. · It is light-weight yet sturdy, and it features metal hardware and a durable handle. · Eight separate, removable storage dividers provide versatile organization. 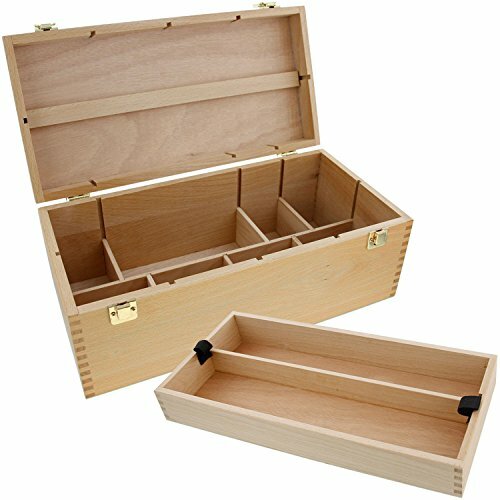 · This Artist's Supply Chest features 2 locking clasps to keep supplies secure. · Designed for easy portability with a durable leather handle.